A trip to old and new Bucharest in a storytelling free tour that explains the changes in the appearance of the city center, from Dracula to post-communism. 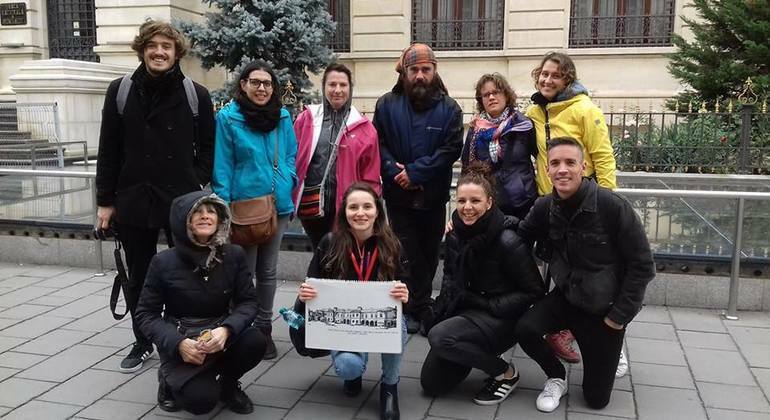 Join this free walking tour of Bucharest with good local guides and discover the best of the Romania capital, stroll through more than 500 years of its history and secrets. You'll hear stories behind landmarks of Bucharest's Old Town and discover important characters who influenced Romania. Feel the city on this fascinating free tour. 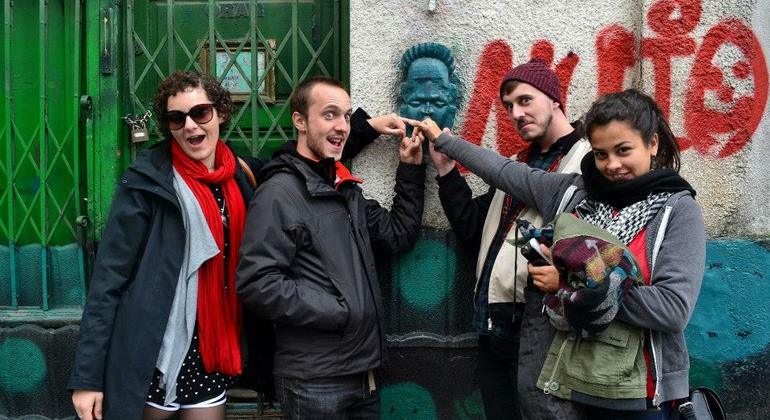 Adventurous walking tour around the most fascinating places of Bucharest. 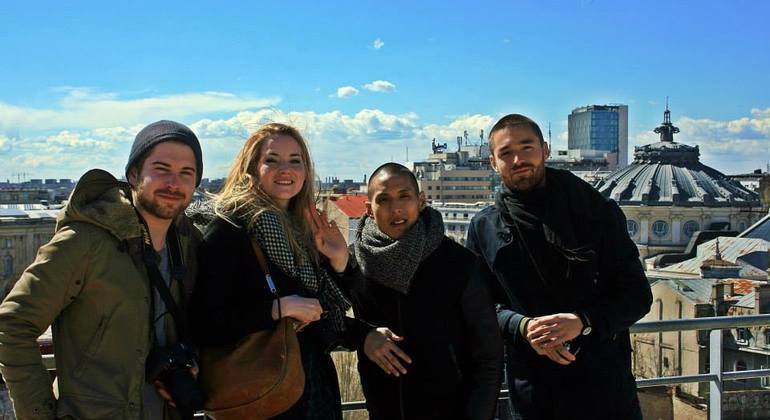 Learn about its famous people, stories, legends and enjoy the city as much as possible. 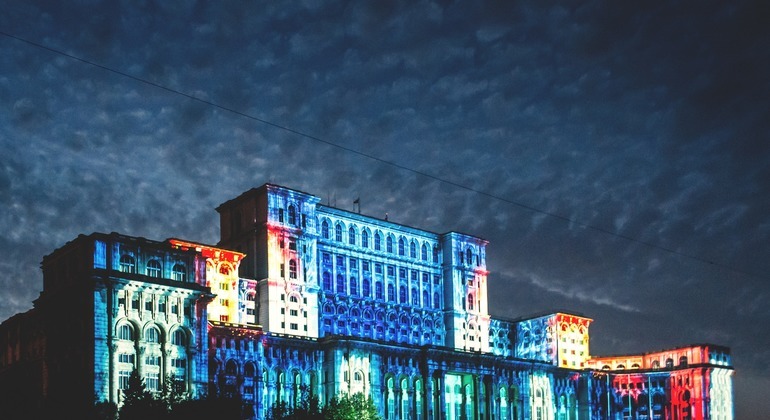 Bucharest has a history of more than 550 years. And to begin with, I chose the Monument of Kilometro Zero, telling step by step the history of the country of the city. Experience a full day tour of the capital of Romania. A lot of sights like Palace of Parliament, Village Museum and Old Town and more are waiting for you. 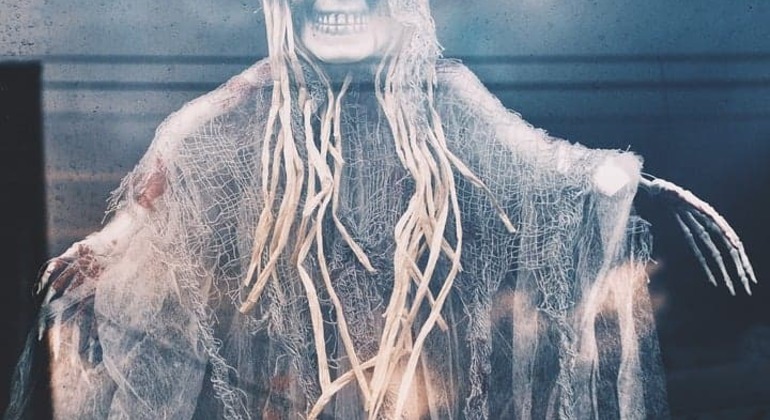 Explore the dark side of Bucharest near to the Old town on this walking tour where strange things are happening, we will visit haunted houses and places. 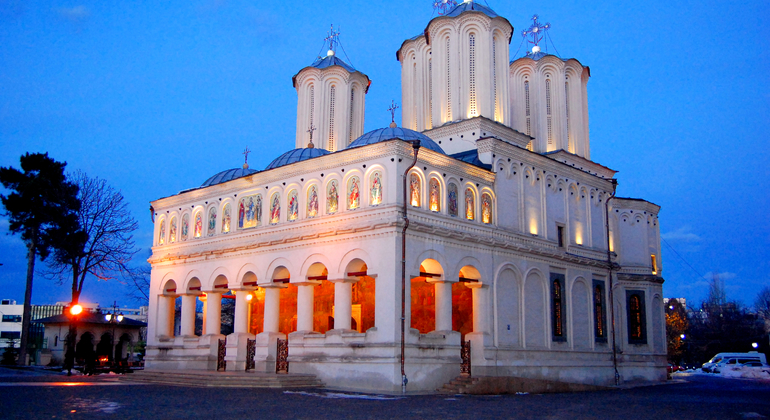 Explore Bucharest behind famous sights and secret places which are related to the red history. See the most important attractions, taste Romanian dishes and much more. 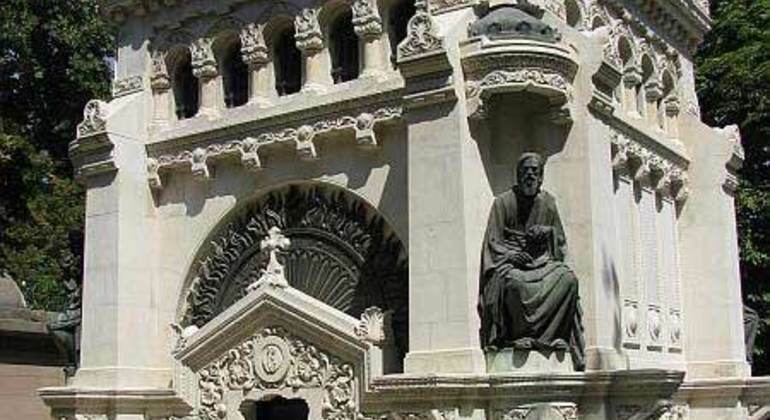 Joinn our special tour through most fascinating places of charming Bucharest city and learn a lot of interesting facts about Anglican, Jewish, Lutheran, and Italian monumental churches. Communism was here for more than 40 years, so no wonder Bucharest is full of “souvenirs” from this not so long ago period. 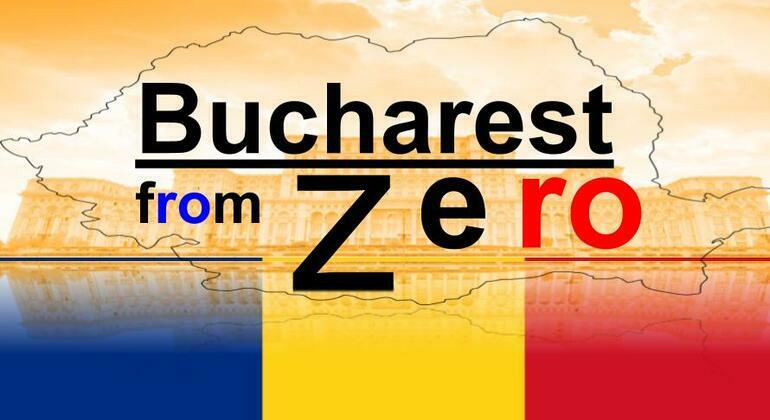 Join us and learn how communism shaped Romanian society and Bucharest and get an insight into life under communist rule. Discover the disturbing past of Bucharest: from the bloody rule of Dracula in the Middles Ages to the brutal changes made by the communist dictator Nicolae Ceausescu. Discover well-known historical landmarks in Bucharest as well as hidden gems, learn the history of this city and enjoy the Romanian cuisine at a cozy local restaurant. 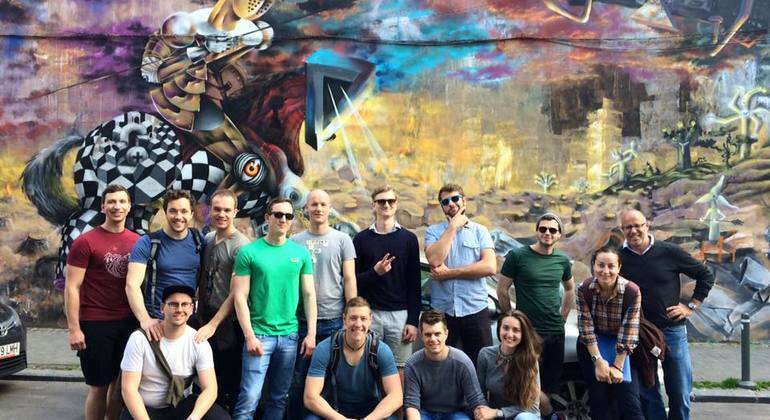 Join the ultimate street art & urban culture walk. Find out about street art, fashion, emerging artists, hidden historical gems and the latest trends. 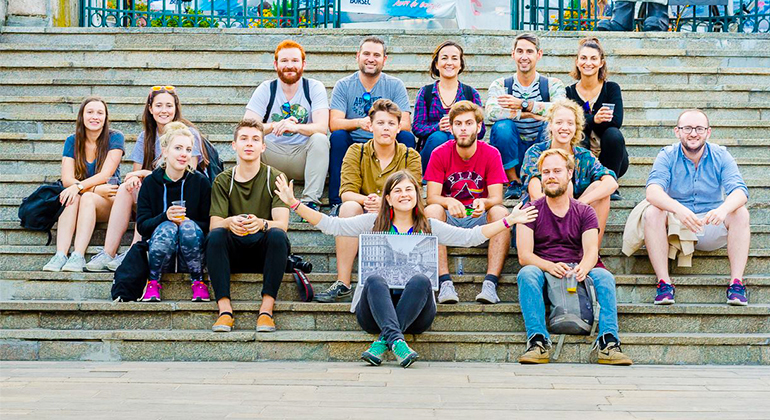 Save yourself the frustration of being totally lost in a new city and join the Absolutely Bucharest Tour, the perfect introductory tour for every newcomer. 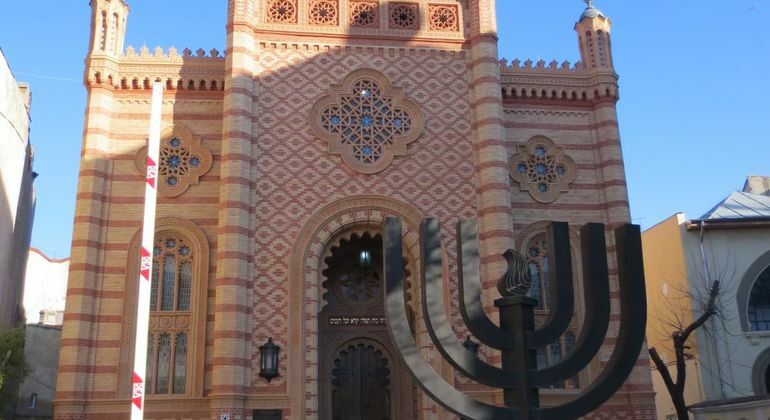 Join us for a 3-hour walking tour through the former Jewish neighbourhood of Bucharest, to discover the history of Jews in Romania, their heritage, their temples and landmarks, as well as their most prominent intellectuals. 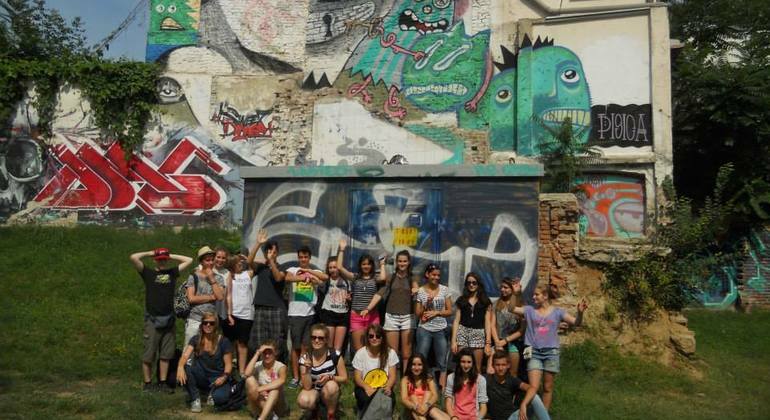 Experience the dynamic social expression, politics, street art, and graffiti, and cultural experiments on a tour of alternative Bucharest. Learn about the urban myths and head underground, visiting alternative locations and unique bars and shops. Join a fascinating and unique walking tour where you get to discover the history, the architecture and charm of places most locals don’t even know exist. Create original pieces of street art in a family-friendly workshop. 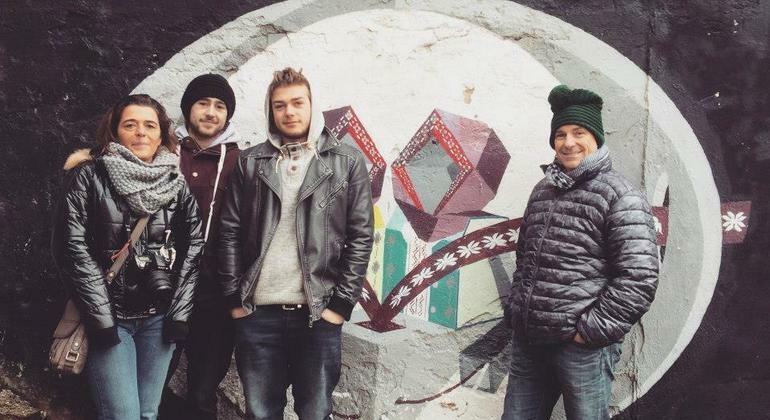 Release your creative potential with this fantastic workshop that gives you the opportunity to learn how to create street art and graffiti from local artists! 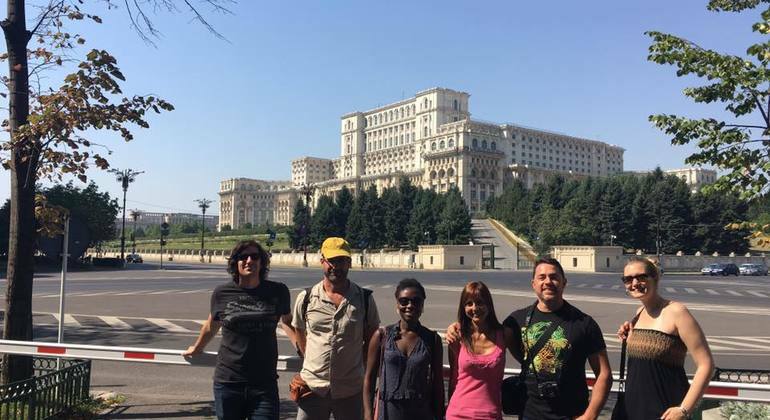 If you ever want to really appreciate what you have in life, join our unique Outcast Tour where you get to witness the challenges of living on the streets in Bucharest. 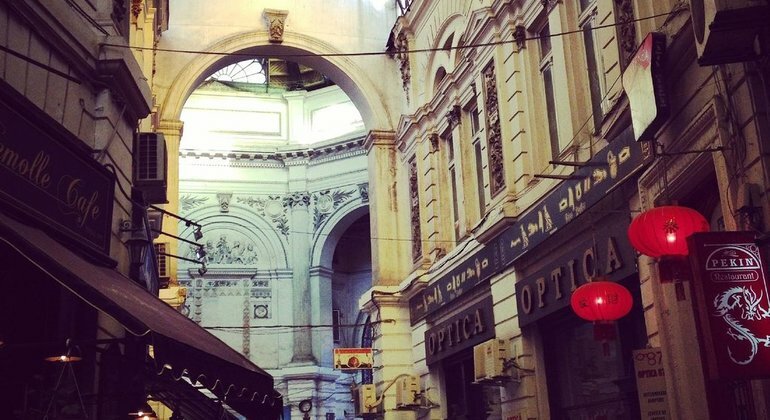 Interested in learning about the city's dark past, because Bucharest certainly has one. Discover it, embrace it and get ready to be amazed! Not suitable for children! Bucharest is a city which has been through many transitions despite being relatively young in terms of European, Balkan & Middle Eastern cities. Once the residence of the infamous Vlad the Impaler, today Bucharest's cityscape is one of contrast where somewhat gaudy buildings from its recent past, like the huge Palatul Parlamentului government building of the communist-era, stand juxtaposed to a modern, cosmopolitan city embracing capitalism & developing as a burgeoning destination for visitors seeking a tactile experience, vibrant culture, remarkable history & heritage, fantastic museums, impressive architecture, incredible nightlife, trendy social scene and an under-stated elegance & charm. Join a walking tour of Bucharest recommended by freetour.com to visit key sights including Revolution Square, Victory Boulevard, Stavropoleos Convent, 15th-century Curtea Veche Palace, the charming Eastern Orthodox Stavropoleos Church and much more while getting a real understanding of life in Bucharest, tips on local nightlife in the centre Lipscani district, hints for shopping in Calea Victoriei as well as advice on local cusine & local hotspots from your friendly free tour guide. 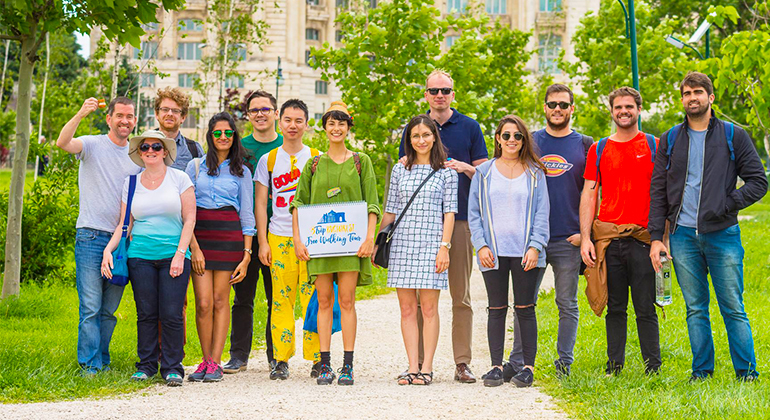 Bucharest is a an energetic place with a bright, forward thinking people shaping a happy future for their city and should definitely be on your city-trip list for a very rewarding, enjoyable experience.